There is a silent and swift shift in the way we have embraced cash in our society. In fact, Canadians are one of the leading societies in this movement. There are people who have said farewell to their wallets and have not looked back. They are the early adopters of a cashless lifestyle, a move to drop carrying currency in favour of using plastic cards and mobile phone payments. However, It is more then just the use of cash, it is a real change in Canadian’s cashless psychology. Digital payment is a trend that’s becoming increasingly popular with consumers and setting off alarms for some who say it amplifies the risk for Canadians to unknowingly overspend. What makes digital transactions so dangerous is that intangible technology is attractive and easy to use and it can quickly deplete your bank accounts. Despite criticism about the growing popularity of digital payments, there are many upsides to the technology that can help you better manage your finances. Technology gives us far more structure to operate within and tools to help us. We have the potential to become much more responsible as consumers. Microsoft Mint, for example, allows us to actively monitor daily spending habits. Its a free smartphone and tablet application that compiles your transactions into easy-to-understand charts and allows you to set financial goals and the ability to have everything tracked. While these tools exist to assist us in the management of digital payments, the real problem lies in our psychology with being cashless. We’re getting further away from the reality of making purchases. Literally, you could be watching TV, looking at your smartphone, and press a button to buy an item and it shows up at your door a day later. Our wallets used to be a barometer of our bank accounts. You’d take cash out and, when it disappeared, the void would trigger a subconscious warning to stop spending. To enhance the temptation, retailers and payment processors are aggressively rolling out new digital technologies from online shopping to tap payments at cash registers. PayPal has backed several online surveys that show that Canadians are eager to adopt new digital payment methods. A recent poll showed that 45% of Canadians surveyed said they were ready to adopt emerging technologies to make mobile payments. Some see tapping as being worse than when we used to have to sign a credit card receipt. It’s such an insignificant action and they argue that an individual will spend more if they don’t pull physical cash out. In fact, some think Canadians should use cash whenever they can. 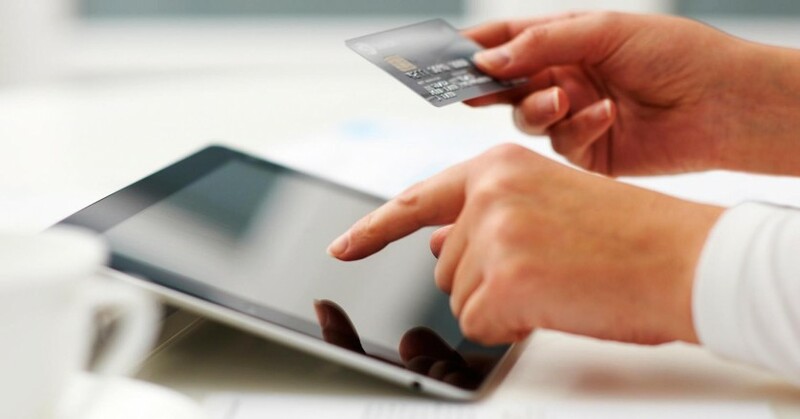 What is agreed is that consumers should take a more active approach to fend off the onslaught of digital conveniences. Retailers are chasing new levels of engagement with their customers by sending out more promotional email offers and push advertisements to smartphones targeted at specific demographics. People should reconsider whether they really need sale messages from retailers in our email inbox. They are sent on a regular basis to encourage more transactions but are often promoted to customers as rare discounts. We need to take a step back and unsubscribe it. Another strategy is to use email filters to siphon alluring sales pitches into another folder thereby removing the temptation of daily impulse buys that seem too good to pass up. We can detach ourselves from the growing popularity of push marketing technology on smartphones before we get hooked. These campaigns send you discounts while you stand within a few feet of a storefront and appeal to our most primal shopping habits. Unless you have tremendous willpower and discipline, you may get sucked in. For advertisers, smartphones have become a gateway to a heightened level of consumer interactivity which can put addition strain on your bank account. We can also deactivate the auto-refill feature on our smartphone apps for coffee shops which make our daily purchases nearly undetectable because they restore gift card balances every time you fall below a balance threshold. The money is pulled directly from your bank account or credit card which makes it hard to track. If your online shopping habits are getting out of hand, free web filtering software is available online which logs the time spent on specific websites so that you can monitor your behaviour. If you need stricter enforcement, a Google Chrome extension called StayFocusd locks you out of certain sites after you’ve spent too long wasting your time. I think the impulsivity of the transaction is the trigger. There are two sides to the argument of the current and further use of cash. What makes sense is for people to embrace the future of digital payments to the degree they benefit us. It will be a long time before cash disappears but it will happen in our lifetime. The cost of currency is rising and governments are moving to making more coins in lieu of paper or plastic bills. Financial institutions and retailers are also making the use of cash more difficult and more expensive. Think of online invoicing, the end of the use of cheques and the increasing cost of even taking cash out of the bank. Times are changing and instead of an excluding behaviour we should embrace change in sync with our own psychology about being cashless. It’s in step with Keeping Life Current.